For many travel enthusiasts, finding a perfect place to spend an unforgettable summer can be quite challenging. With so many famous tropical destinations out there, the choices seem to be endless. An island nation that lies in the heart of the Mediterranean, one of the top picks when it comes to summer escapade is the beautiful island of Malta. 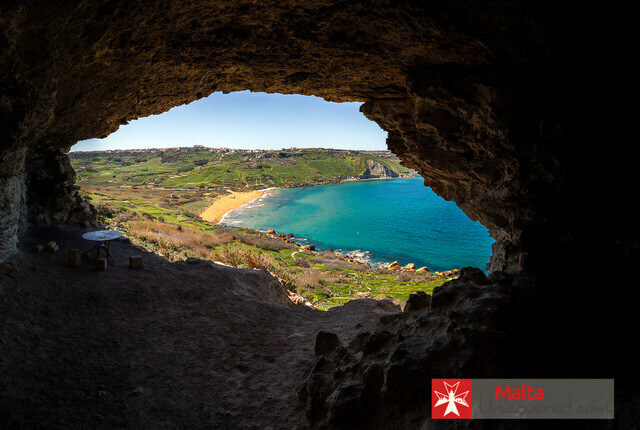 Aside from its rich history and stunning natural beauty, Malta’s weather is perfect beach weather; very mild winters and warm to hot summers. The seascapes here are among the most stunning in the Mediterranean, and the beaches radiate with golden sand. 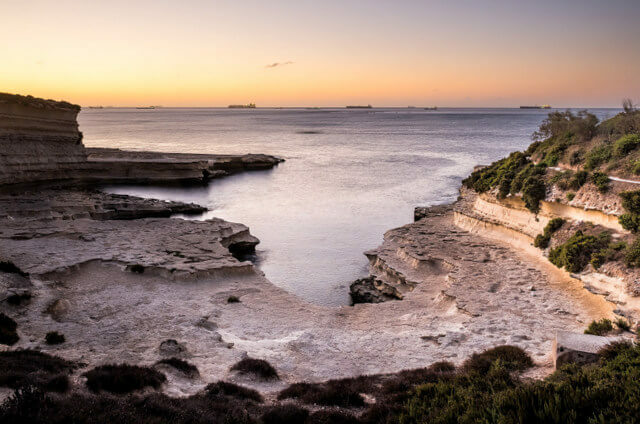 Don’t let the title of the ‘Smallest Country in EU’ fool you; with such an incredible range of coastline to choose from, Malta Uncovered has put together a comprehensive list of the best beaches around the country. This beautiful sandy beach is situated within a cliff face in North West Malta. It is easily accessible with public transportation, making it convenient for guests to travel and explore nearby places. Golden Bay beach is known as one of the first to earn a Blue Flag status in the country, making it a top destination for locals and tourists alike (the Blue Flag is awarded for beaches that have high environmental and quality standards). Aside from its crystal blue water and a stunning view of the sunset, this is a popular spot for water activities like swimming, snorkeling, diving, water skiing, and more. Safety is also a priority on this beach as well. Multiple lifeguards are patrolling the beach around the clock to ensure public safety of those who head out for a swim. St. George’s Bay is not your typical nature-focused beach. Located in the heart of Paceville, the entertainment capital of Malta, this place is famous for its combination of natural beauty and convenience of nearby establishments. Guests of all ages get to enjoy the beach in a modern-day setting. 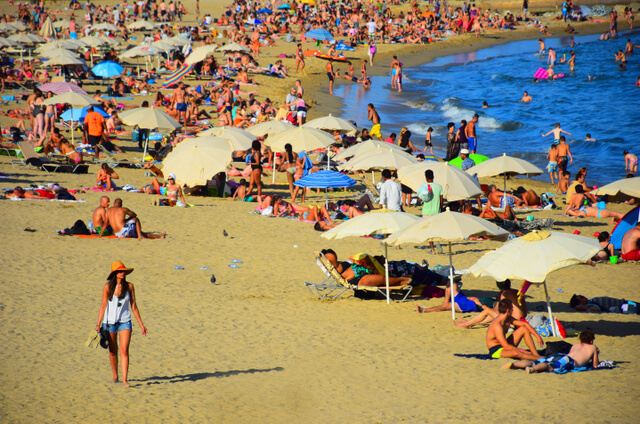 You can even take a break from fun water activities and head over to easily accessible establishments, such as bars, restaurants, shopping centers, and cinemas. Also known as Riviera, this stunning beach is located in the North West part of Malta. 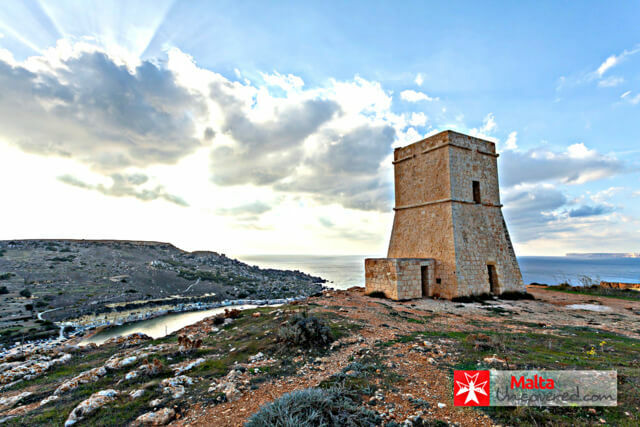 If you are looking for a spot in a rural atmosphere, then Għajn Tuffieħa might be a perfect choice. Since it is smaller and more unspoiled compared to other beaches in Malta, expect to get the most out of its natural beauty; clay slopes, cliffs, fiery red sand, and pristine water. It is worth noting though that this place is only accessible via a steep flight of 200 stairs, which can be quite exhausting, especially during the summer. There are very few amenities as well, so be sure to bring everything you need before heading out to this beach. Mellieħa Bay, also popularly known as Ghaadira Bay, is one of the largest and most stunning beaches in Malta. It features an 80-meter stretch of golden sand that accentuates the pristine water. It is also considered as one of the safest beaches for children, especially with its 50-meter shallow water that slopes gently out to the sea. This is a hub for water sports enthusiasts, and popular activities you can try here include windsurfing, kitesurfing, water skiing, banana boating, and canoeing. There is a blow-up water platform as well, perfect to keep children entertained for hours. Despite its massive size, Mellieħa Bay tends to be crowded, especially during weekends and summer months. So it’s best to schedule your visit wisely. Also known to locals as Ramla il-Hamra, this unspoiled paradise is famous for its bright orange-red sand and crystal clear waters. It is set in the bottom of a valley with untouched nature. In fact, Ramla Bay has virtually no development, making it a perfect spot for those who want to enjoy a peaceful environment. It is worth noting though that activities are limited here. Aside from swimming and snorkeling, the only thing you can do here is to admire the scenic views. Another highlight of Ramla Bay is the statue of the Virgin Mary, which was erected on the beach in 1881, which commemorates a local shipwreck in the area. This Caribbean-style paradise is located on the small island of Comino. Tourists and locals alike have been raving about its cyan-hued water, abundant marine life, and stunning caves to explore. While its white, sandy beach is relatively small compared to others, its spectacular flat rocks and limestone cliffs are more than enough to keep you mesmerized. Some activities you can enjoy here include swimming, snorkeling, scuba diving, windsurfing, water skiing, and jet skiing. You can even relax in one of their famous tour boats and private yachts. Located in Marsaxlokk, this place is considered the most stunning natural swimming pool in the country. It is surrounded by crystal clear waters rich in marine life. It also features several flat rocks that guests can use for sunbathing or just merely a hangout place to enjoy the view. There are ladders available to access the sea or climb to a higher location where you can dive a few meters up. It is worth noting though that roads leading to St. Peter’s Pool are not that good, and parking is quite challenging. Since the place is unspoiled, there are no facilities available in the area as well so make sure to bring everything you need for the day. It may not be suitable for young children. This small and secluded beach is located in Gozo. Set within a creek and a steep-sided natural valley, Mgarr ix-Xini offers guests a serene environment, perfect for those who want to take a break from the busy city. The beach is also famous for its rich aquamarine life, making it ideal for underwater photography. This beach is famous among locals and tourists alike for its deep, azure-colored water and pebbly shore. It also features small caves at water level, making it a popular diving and snorkeling spot. Another highlight of this beach is its spectacular views of the Comino Island and a lovely coastline dotted by traditional saltpans, which are still being used during summer to harvest salt. 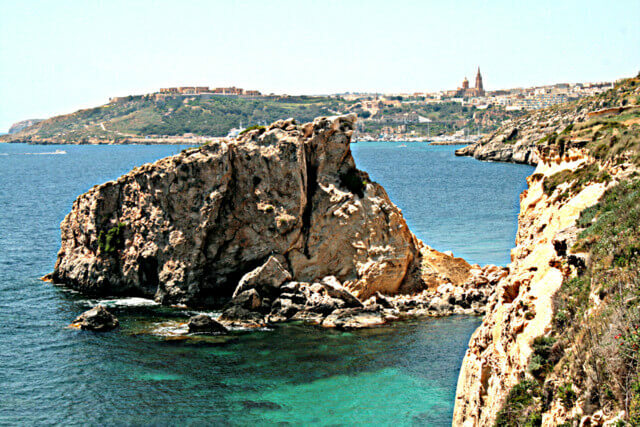 Another secluded beach located in Gozo is the San Blas Bay. It offers guests breathtaking views of the Mediterranean waters, as well as fine reddish-orange sand. Compared to other beaches in the country, San Blas Bay is less crowded. But the steep road leading to this paradise makes it difficult for visitors to travel by car. With this in mind, you might want to go down the beach by foot. Some of the activities you can enjoy here include swimming, snorkeling, and sunbathing by the shore. 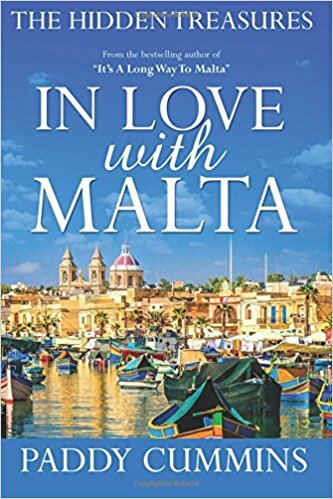 Malta travel this summer? Use this list of the best paradise beaches and most beautiful bays – they’re great places to visit for fun in the sand! Ed Lansink, from the Malta travel guide www.maltauncovered.com, provides huge local knowledge and advice on how to get the most out of your holidays in the Maltese islands. 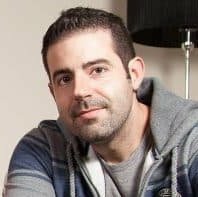 Ed is a former tourist, now expat in Malta, who knows the country inside out and shares his insights and photography with curious travelers worldwide via his blog. Amazing beaches! Thanks for sharing! Every beach looks inspired Ed. Malta is one of those Mediterranean paradises I just need to see. What a special feel to it. Old World in many ways but also new and chic in some regards too. Plus those beaches. Eye-popping. Rocking post. Great information! One of my relative is at Malta and I’m planning to visit there soon. Glad the post was helpful Ratheesh :) Having family in Malta is a great excuse to visit, you have a free tour guide too :D! I’ll take a beach that has no people on it! LOL! 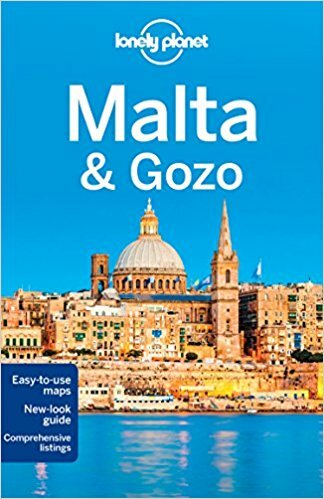 You might want to consider Gozo. Everything is much quieter and gentler than the main island. There are some nice resorts and some decent beaches. I do love Gozo too! Our favorate beach is Paradise bay, Nice beach and bar/ Restaurant. Good prices too. 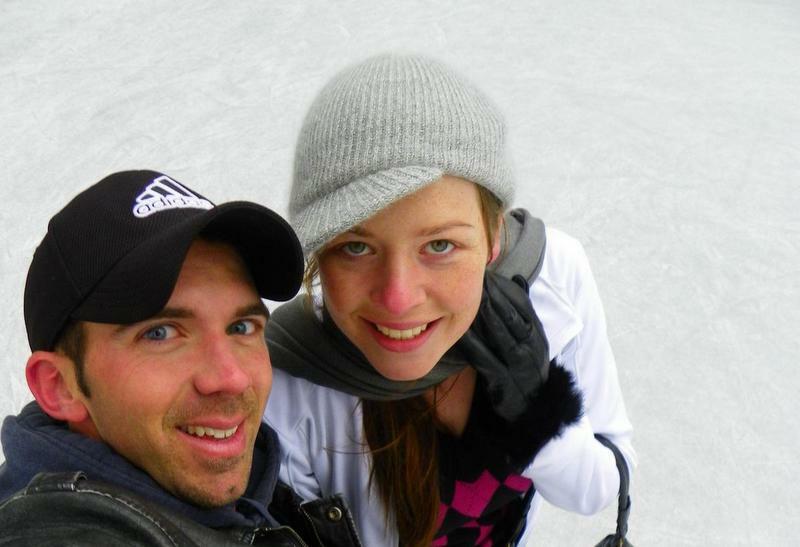 Glad you enjoyed your time in Malta :) Paradise Bay is a good one! You can see Golden Bay on the Skyline webcams Malta. Hi why not take a boat trip to a beatiful area of the island known as the blue lagoon the water is turcqoise and clear however ther is limited sand area and i dont think u can hire loungers but its worth it. Thanks for the tip Steph, sounds amazing! Cant understand why people say there are no sandy beaches in Malta-there are loads!!!! Paradise bay, i would say, is one of the smallest but without doubt the prettiest. 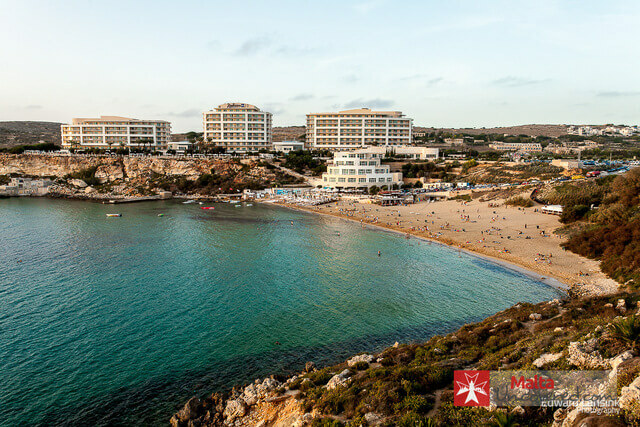 Mellieha is one af the largest and busiest with more facilities.Golden Sands has the new 5 star holiday resort, and next to it is Ghan Tuffeiha with its great waves for bodyboarding etc. Theres Ramla bay ,Armier, Little Armier, Pretty Bay- i could go on and on!! 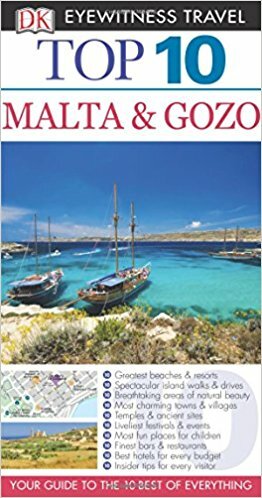 I think that in Malta the beaches are a little off the “beaten track”,so you need to travel a little further than the resorts to find them. I didn’t know people said that … there are definitely pretty sandy beaches :) It sounds like you spend a lot of time in Malta, after Ed’s guest post I would love to go! We were at Ghajn Tuffieha Bay this month … I can imagine it gets crowded over the summer season, but at the end of September, we couldn’t have asked for a lovelier place. The sea is calm, so warm and not at all steep so even non swimmers can go further into the water. So glad to hear you had a fabulous time Charli! Re Mellieha Bay, I believe a couple of beach chairs and umbrellas will cost €10 for the day. We are arriving by cruise ship. We have alternative plans if the weather is not permissible for a day at the beach. This is our first European cruise. I am used to going to beaches on our cruise trips. We have so many historical sites to see on this cruise and I thought we might be south enough to enjoy warm weather and some relaxing time at the beach. Please look at Birzebuggia on the South coast,the beach is absolutley delightful and so child friendley. How’s the weather around Christmas?